It’s right there in the Scout Oath, but chances are you or someone in your pack, troop, team, or crew needs a little reminder. I’ve got just the thing: The SCOUTStrong Presidential Active Lifestyle Award Challenge. 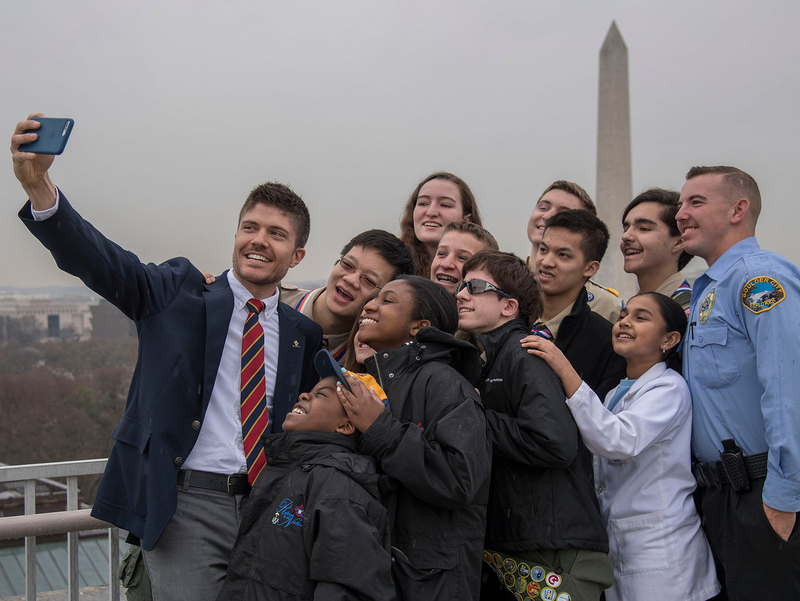 The program, a result of a partnership between the BSA and the President’s Council on Fitness, Sports and Nutrition, rewards you for being physically active in Scouting and your daily life. Who can participate? Anyone associated with the BSA. That means Scouts, Venturers, parents, volunteers, council staff, board members, friends of Scouting, and BSA alumni. Select your state and local council. This will tailor the content to your specific area. Begin tracking your activity. Pretty much anything physical will qualify. You can count more than 100 indoor and outdoor activities, including traditional aerobic exercise, sports, or even active household tasks, such as mowing the lawn. Meet daily and weekly minimums. For adults, that’s 30 minutes a day for at least five days a week. You need six qualifying weeks over an eight-week period. For Scouts under 18, the daily requirement jumps to 60 minutes a day. Keep it up and encourage others to complete their daily activities by checking in with fellow Scouts and Scouters and adding active games to your unit meetings or campouts. Earn the award. Yes, improving your health is the real prize. But patches are pretty good too, right? Anyone who completes the challenge is eligible to wear this fully embroidered emblem (BSA Supply No. 614207). Has anyone already started the PALA Challenge? Share your experiences by leaving a comment here. As for the rest of you: Get going!